Get the kids out fishing this summer! We are due for a good period of settled weather and let's hope this holiday season doesn't disappoint. Not only does good weather keep the kids outside, calm conditions provide an incentive to grab the fishing rod. The Otago Region has an abundance of fishing resources and it shouldn't make any difference whether you have to travel or simply roll off your lounger at the Motor Camp - just a positive attitude and some simple planning to wet a line. Lake, river and reservoir conditions across the region have remained stable providing good angling opportunities and fish in superb condition. Heidi Kendrick of Wanaka with a nice river rainbow trout. 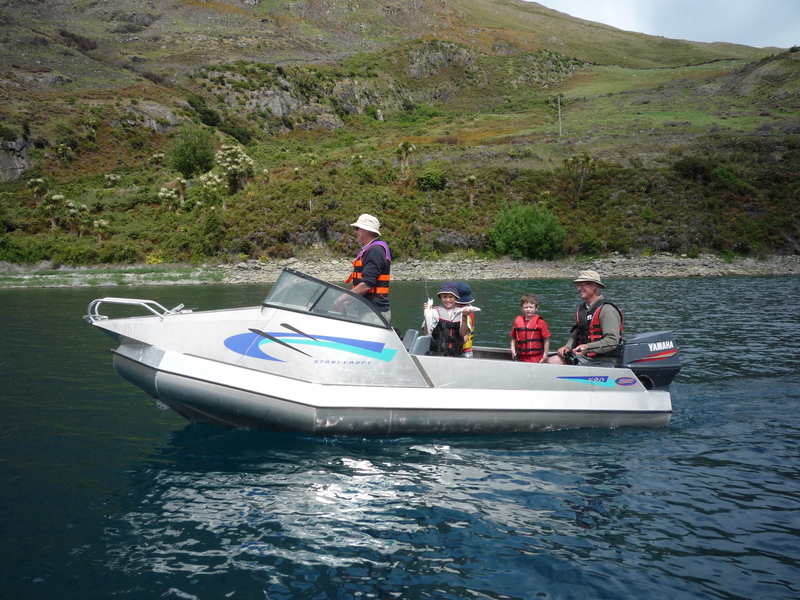 Lake Hawea continues to produce plenty of medium sized salmon and large rainbow trout. Trolling at the Neck has been very successful and there has been an abundance of Green Beetles scattered around the shoreline. Whilst green is an obvious lure colour pink is a well proven salmon catcher. The inland reservoirs are favourite holiday destinations and uncomplicated environments to teach the kids to fish. Many are stocked with hatchery reared rainbow trout that are often easy to catch providing good entertainment. Teach your children the art of spinning or have some floats and worms available. Educate your kids well and if you intend to keep fish ensure that a chilly bin with ice is on hand. Most importantly make sensible decisions around water and keep safe over the holiday period. From the team at Fish and Game have an enjoyable New Year's celebration.